Thanks for helping with the IJA ezine! Below are basic instructions to help you get started. WordPress is made for non-technical people and it’s generally pretty easy to learn. If you’re making a video post (Tricks of the Month, etc. ), then see our Video Guidelines page. First login to wordpress. You can do that from any of the ezine pages. Once you’re logged in, you should see a special toolbar at the top of the screen. 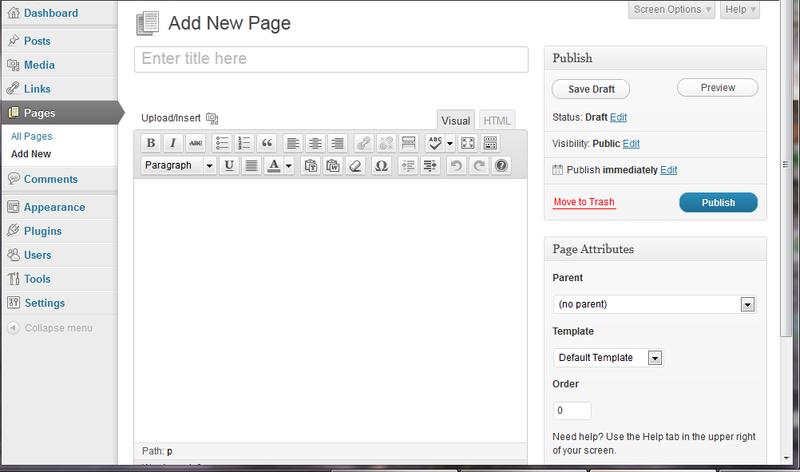 You can go to the dashboard or simply press New -> Post and it’ll take you to where you can write your article. The article itself. Even for podcasts and videos, there should be at least a couple sentences at the top introducing your content. A category. All posts should have at least one category (and most have only one, though some have more). Tags. All posts should have at least one tag (keyword). Summary words like profile, interview, fest review, prop review, performance theory, etc. can be good. Feel free to list the names of people mentioned for profile articles. Three to five tags is usually sufficient. Save Draft – it’s always a good idea to save your work regularly. Preview – to see how the article will look once it’s published. Note: embedded videos don’t usually show up for some reason. Submit for Review – once your work is complete and the team of editors should check it. Once you do this, you won’t be able to make changes again. Editors will proofread and maybe makes some changes (generally just typos and small grammar improvements). If something major needs to be changed, we’ll inform you. Shortly after it’ll be scheduled to go live. To add images/mp3s/media, put the mouse at the beginning of the paragraph where you want the image and right above the toolbar, click “Add Media.” There are 2 tabs at the top: “Upload Files” and “Media Library.” From the Media Library, you can select any picture that’s already been uploaded to WordPress. For Uploading Files, you can either drag and drop the files or browse for them. Once they are uploaded, you can add captions, resize (max width is 640 pixels), select alignment, etc. for the image and then press “Insert into Post.” If you want to change a picture that was already inserted, click on it and the Edit Image and Delete image icons should appear and clicking on them will give you some options. Galleries are groups of images laid out in a grid. in the Add Media section, click “Create Gallery.” Select the images you want in the gallery and click “Create New Gallery.” On the next screen you can add captions to the pictures and also drag them around to whatever order you like. You can also choose some gallery settings: where clicking the images will link to, how many columns will display, and whether you want the images displayed in random order. Once it’s all ready, go to the bottom of the window and press “Insert Gallery” and it will add them all in bulk (as you’re editing the page, you’ll just see a block, but when you preview the page you can see how it’ll really look). To embed a video, you need to get the HTML embed code. In youtube, below the video, click Share and then Embed, and then you can copy the HTML they provide. The width of a regular ezine article is 640 pixels so don’t choose anything wider than that (exclusive members-only videos don’t have a sidebar and should be width=”900″ height=”506″). To insert it into your post, go back to wordpress and on the top right of the article box change from Visual to Text mode. Find where you want to put the video in and paste in the HTML code. Then you can go back to Visual. Create a stylized, text-based graphic with the name of your column. Use a headshot of yourself. Use a thumbnail of your video or a photo from your article. 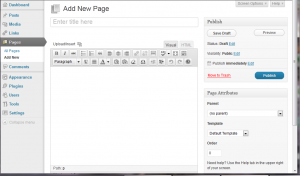 Files should be approximately 640×360 or at least similar proportions that wordpress will automatically resize to fit. If your proportions are wrong, it may crop things out. If you have a vertical image you really want to use, pad it with whitespace on both sides so it’ll be the right proportions. Please don’t use large files; they won’t appear properly. If you want to use the same image that you are using in the article, you should make a reduced size copy for the featured image. To add a featured image, click “Set Featured Image” at the bottom right of the Post page (you will have to scroll down to see it). After you upload or select an image scroll to the bottom and you should see a text link to “Use as featured image.” Once selected, you can close the window (you don’t have to “insert into post”). You are encouraged to customize the bio and links people see next to your name at the bottom of your posts. When you’re in the wordpress backend, go to your profile and fill in the relevant fields. Please no more than 4 sentences in the bio. All external links should open in a new window. Use only a single space after periods (and other punctuation). Double spaces should never be used. Use serial or Oxford comma when making lists. That means to put a comma before the word “and” in a list. Example: His beanbags are red, blue, and green. British or American spelling is acceptable as long as you’re consistent within your posting. Nothing against the goals of the IJA. Nothing that will make the IJA look bad. No harsh statements about individuals or organizations. Certain criticisms may be allowed (such as much of the constructive discussion on how to improve a juggling convention). No offensive language (including curse words, overly sexual themes, serious drug references, etc.). Content should be suitable to most ages, similar to PG movie guidelines. Links to external content should be minimalized. For example, a fest review should only have one link to the fest website. Commercial content should be minimalized; the ezine is not to be used for free advertising. Product reviews should be objective. All content that is published must be 100% exclusively owned by you. No plagiarism allowed. Proper permissions should be gotten for images or other content used that isn’t owned by you. Crediting the photographer is always a good idea. Content provided belongs exclusively to the IJA and may not be reproduced elsewhere. Special exceptions may be negotiated with the editor.